I realize that I will probably catch a lot of grief for this, but I can’t say that I care, because it makes me so happy to say this…It’s almost time for my favorite time of year and I couldn’t be more excited! While I do love to be laying out by the pool and soaking up the sun’s rays in the summer, my favorite time of year is FALL. For me, fall means crisp, cool air, sweater weather, bonfires, FOOTBALL (Go Buckeyes! ), the leaves changing colors, pumpkin flavored everything, mums and fall decor. I recently went to Hobby Lobby and they have a big section of fall decor. 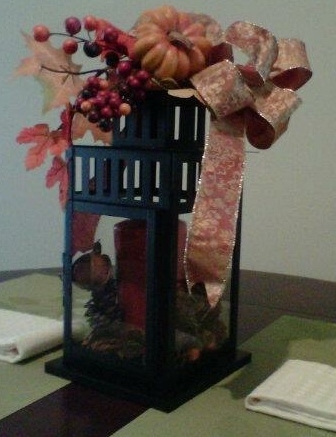 I made a fall wreath and arrangement for a lantern about two years ago and I get them out every year. I included a picture of them both below along with my favorite things about fall. College football, by far, is my absolute favorite thing about fall. I could spend my entire Saturday watching football games and not be mad about it. I am a Buckeye fan at heart, but I will watch just about any college football game. I have been known to head to The Shoe on a Saturday to see a game…and an added bonus, my cousin cheers for The Buckeyes. Second to football, I would have to say that I love being able to break out my sweaters, hoodies, scarves and knee high boots to keep warm in the crisp, fall air. The weather is cool enough that a coat is not needed and a sweater is enough to be super comfortable all day especially around a bonfire in the evening. It’s no secret that many of my friends know that I love pumpkin flavored anything! Doughnuts, coffee, creamer, pie, tea, bagels, bread, candles…literally ANYTHING pumpkin is in my cart when I go to the store. SO GOOD! It’s also the perfect time to burn those pumpkin candles or in my case I love my pumpkin marshmallow Scentsy bar or Yankee Candle’s Apple Pumpkin candle. A close second to my favorite time of year is the obvious Christmas holiday, but that will be a whole other post to come later. You can go into almost any craft and decor store and there will be a whole section for fall decor (and also Christmas). 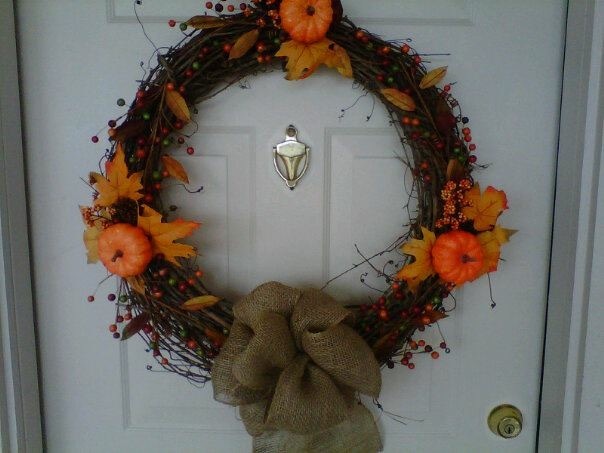 I’m a fan of Hobby Lobby and Michael’s so that I can make my own fall crafts. 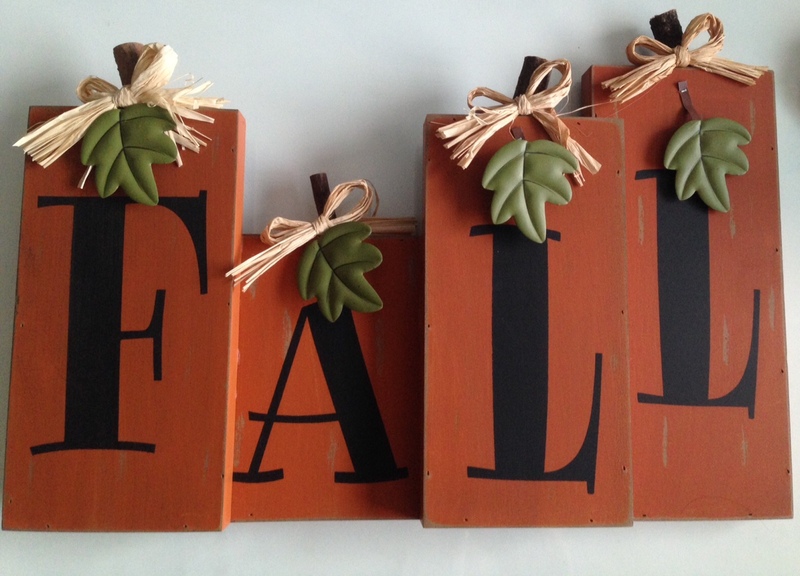 I bought a FALL sign from Hobby Lobby over the weekend (see the top of this post) and can’t wait to find a home for it inside. It’s also on my bucket list to visit Asheville, NC and The Biltmore Estates again in the fall…that would be a photographer’s dream. What’s your favorite time of year and why? I’d love to hear what yours is. As the years have gone by and I have gone through so many different experiences, I have found that my tastes and styles have changed. What I never wanted to eat before, I now love; what I didn’t like to listen to in music before, I now love to listen to and what I liked in design and clothing style previously, that has changed as well. Today I’m focusing on my design style because I have a passion for interior design (possible career change?). In my late teens and twenties, I loved a mix of contemporary and modern design. Clean lines, smooth surfaces and bold colors were something that caught my eye. But as I’ve grown up, I have found that what I like now has completely changed. I’m drawn to rustic farmhouse styles and french country styles. In high school I absolutely despised history and did not find it interesting at all. After my visit to the Biltmore Estates last year and my recent obsession with Downton Abbey, I have become more intrigued with historical fashion and design. The images that I find inspiring now have mixtures of neutral colors, weathered wood and succulents as accents. I know you’re probably thinking that the designs of Downton Abbey days are nowhere near the designs of a rustic farmhouse, but I still find all of that history so interesting. Who is your design inspiration and what are some of your favorite design magazines and blogs? Leave a comment below; I would love to check them out. There is nothing quite as therapeutic and relaxing as taking my camera and just going out to shoot some pictures. I discovered a place not far from where I live over the weekend. It is a quarry with hiking trails and fossils and ponds and is just very peaceful. I laced up my shoes, grabbed my camera bag, water bottle and headed out for a hike and an impromptu picture session. The umbrella, thankfully, was in my car already. I needed that more than anything else because two thunderstorms rolled through while I was out. 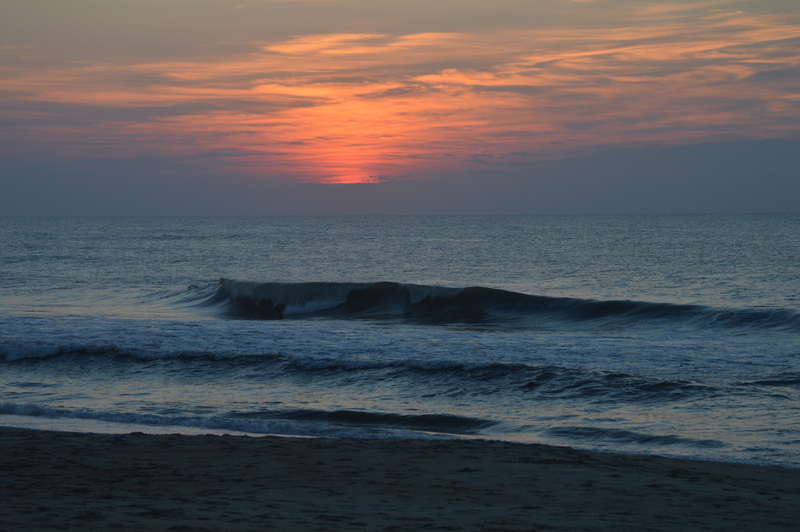 Here are some pictures from my spur-of-the-moment road trip. 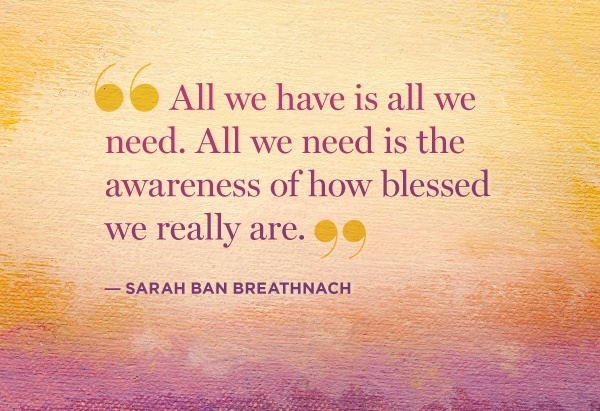 Since today is #spiritualsunday, I am sticking with that theme and sharing something that inspires me daily and keeps my spirit happy. Having gone through what I have in the past, I was pretty negative for quite awhile and almost bitter at times. I do not know what it was exactly that changed my way of thinking, but one day it was like a light switch went off and I realized that this way of thinking was so toxic and was eating up my happiness. I was spending too much time feeling sorry for myself and wasting every precious moment of my life and missing out on this one life that I have to live. I hate to use cliches here but life really is short and it moves by in the blink of an eye and I do not want to waste any more of my life not making the best of each and every day. I am a firm believer in inspirational and motivational quotes; always have been. Someone once told me that I should not live my life by the words of someone else and should get my own words (what a hater). Thanks for your opinion, but it was not asked for nor do I need that kind of negativity. I do not use someone’s words as my own, but those quotes are out there for a reason. They have helped me in my darkest of days and have given me reasons to smile and not give up hope and have faith that things will be alright for me; to see the good in every day. It is completely normal for us all to have an occasional bad day and that is just a part of life. But take the time to reflect on that day and what it taught you and then brush yourself off and come back stronger the next day. Being an artist, myself, and combining that with my love of inspirational words and quotes, I stumbled upon an Instagram page that is both artistic and inspirational. Rose Hill Designs by Heather Stillufsen. (Her Facebook page is here and her Instagram is heather_rosehill.) The images above are from her page and she posts a new one almost daily. 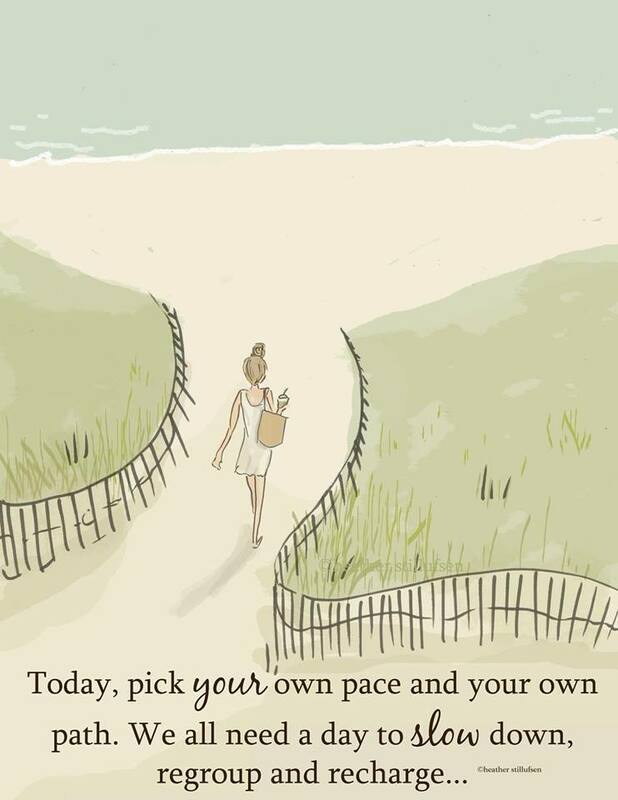 Check out her beautiful illustrations and inspiring words. Do you have something that inspires you daily? Please comment below and share; I would love to see what inspires you all. Has anyone ever told you that you look like someone else? For me, I have heard that I look like a few different people and honestly, I do not see it, but the images that I have included in this post are names that I have heard multiple times from different people. I am very flattered that people think that I look like these celebrities, but I fail to see the similarities. Comment below if anyone has ever told you that you look like someone famous. I would love to see your look alikes. Above are the people I’ve been told I resemble and below are a few pictures of me. 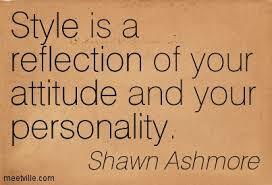 So what is your opinion? Yay or nay? Don’t mind this picture…this is one my uncle told me I looked like Jillian Michaels so that’s why I included it. 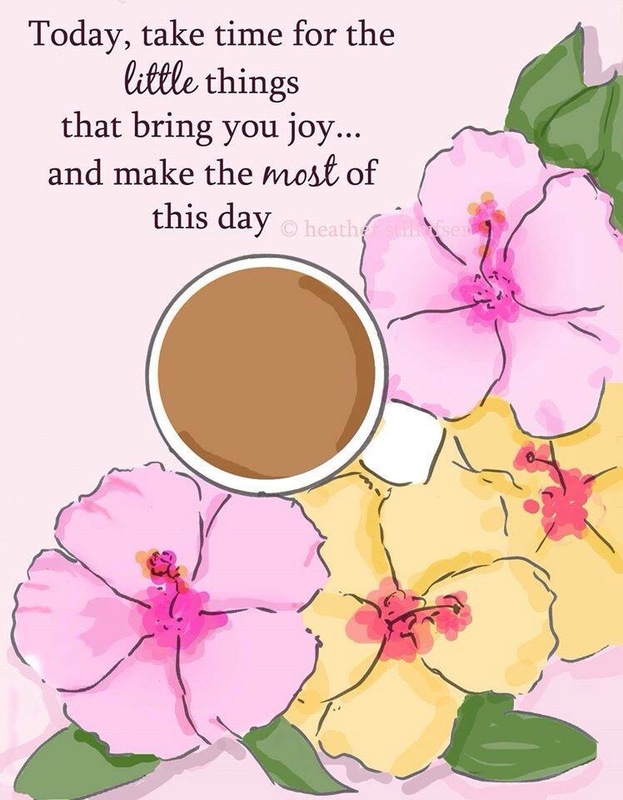 As I sit here this Sunday morning with my cup of coffee, I find myself thinking of all the things that I am grateful for. This has become a trend for me when I have a lazy Sunday where I have nowhere to be and can just sit and reflect on life, where I am currently and where I hope to be in the future. I keep small notebooks around for when I have ideas and for things that I don’t want to forget and I recently found myself making a list for those little things that happen in life that make me smile; the unconventional things. On that list will always be my friends and family, being alive, having a job that pays the bills, etc., but this particular list has other things that I have found make me genuinely happy. I encourage all of you to keep a list, whether it be mental or on a piece of paper, to look back on from time to time and add to it and just reflect on what really makes YOU happy and grateful. The list will be different for all of you and I’d love to know a few of your unconventional items on your list. Please comment them below. Happy Thursday readers! 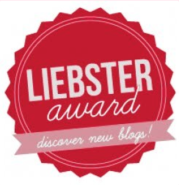 I don’t normally post on Thursday but I was nominated for the Liebster Award by the sweet blogger of The Simple Beginner. Be sure to check out her blog! Thank you so much for this nomination!! 1. Would you eat foods that are green or red? Absolutely!! I love green juice and green smoothies! 2. Where would you like to go on an adventure? I have wanted to visit Italy for as long as I can remember. 5. What’s something daring you want to do but haven’t done it yet? I really want to go skydiving. 6. What is your favourite thing to eat for breakfast? I love to have oatmeal with blueberries and almonds in the morning. 7. What did you enjoy in your childhood days? I enjoyed getting together with all of my cousins for the holidays. Our extended family is too big now to get all of us together at once. 8. What’s your dream car? I don’t have a dream car, but right now I’m loving the new Mazda CX-5 or the Mazda 6 (in a shiny black). 9. What is your most used app on your phone? I use Instagram, Facebook and TimeHop equally. 10. What does a date night look like for you? For me I would just like to go to a restaurant that I haven’t tried yet and enjoying my date’s company, followed by a glass of wine and maybe a nice evening walk or relaxing alongside a fire. 1. What is your favorite season? 2. What is the one song that you’re loving right now? 3. If you were not in the profession that you are currently in, what else would you be doing? 4. What is your favorite flower? 5. What is your favorite inspirational/motivational quote? 6. What is one thing that not many people know about you? 7. What is your favorite city to visit or your #1 city to visit on your bucket list? 8. What is your favorite thing to do for “YOU”? 9. What is your favorite t.v. show or movie? 10. What is one goal you have set for yourself this year?